Have it ever happened to you to have a friend over, they forgot their charger, and you need to give them yours because this is what a good host does? Even though it is necessary to charge your phone too… Or maybe your spouse broke their charger, and they are relying on yours because they do not have enough time to go an buy one for themselves. Or perhaps you lost your charger, and you are the parasite on someone else’s charger. No matter which one of these situations you relate to, Samsung has a solution for them. Their Wireless Charger Duo. 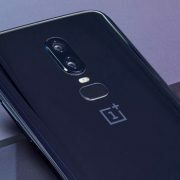 It is a very elegant solution for the most annoying problems, and it can charge multiple Android devices such as phones, smartwatches or tablets. What you have it will charge. Your devices will be charged at the same time in a matter of seconds(kind of). While using to different chargers can get tricky, or you only have one charger because who knows what happened to the other, this wireless charger is a big pad that has a flat segment on the right and one angled stand on the left. 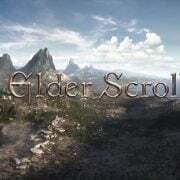 It sounds amazing, does not it? However, this gadget is quite expensive. The price of the Wireless Charger Duo is $115 and buying two chargers separately is even cheaper. Thankfully Samsung is not the only company producing this type of chargers so we have come up with a list of alternatives that might help you out. This sleek pad from ZENS allows you to charge two different devices which are compatible with Qi. Each coil will have a 15W output and will charge the phones may be even quicker than you would expect. This Wireless Charger even looks better than Samsung’s because it is completely flat. Besides that, the price is also not that big. For the ZENS Dual Qi Pad 2X 15 Watt, you will only need to pay $80 at Amazon. 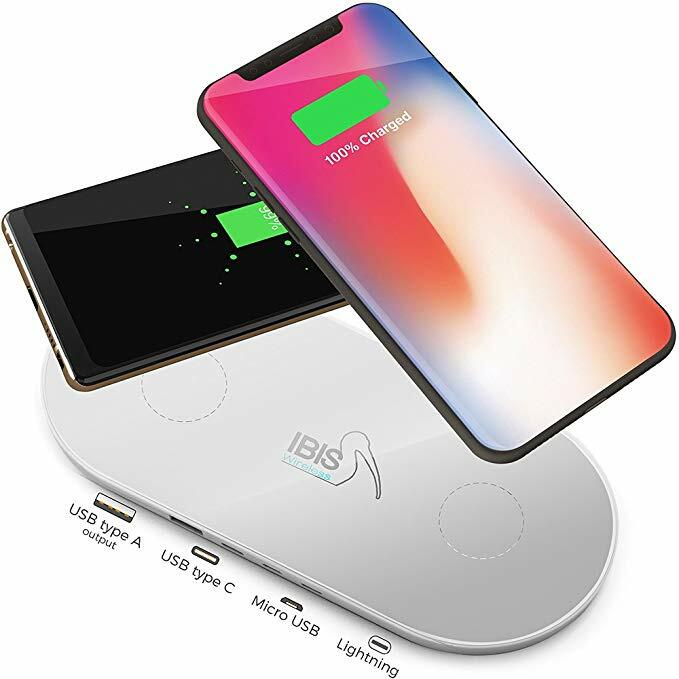 IBIS came up with another dual-wireless charger that we will be talking about. It does not look as nice as the ZENS Dual Qi Pad 2X 15 Wat or the Wireless Charger Duo from Samsung, but it will do what it has to do, charge two devices at the same time. It even allows you to charge a third device as it has a USB-A port for wired charging. However, the best part of this charger is its price. You can purchase it for $40 at Amazon. Or get two of these. 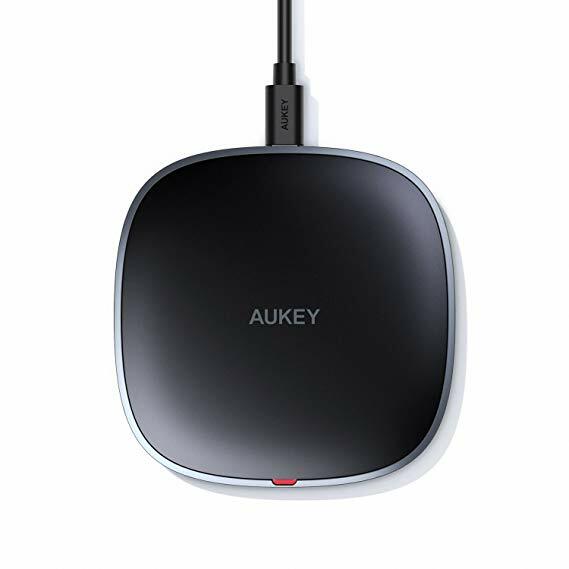 Another possible and cheap solution would be to buy two separate small and slim wireless chargers, similar to the one Aukey offers. Maybe you can even use a little bit of double-sided tape and stick them together for more of a visual effect. At least they will do what they are supposed to do for only $26, charge two gadgets at the same time wirelessly. If you only want to get one, you can do so at Amazon for $13. 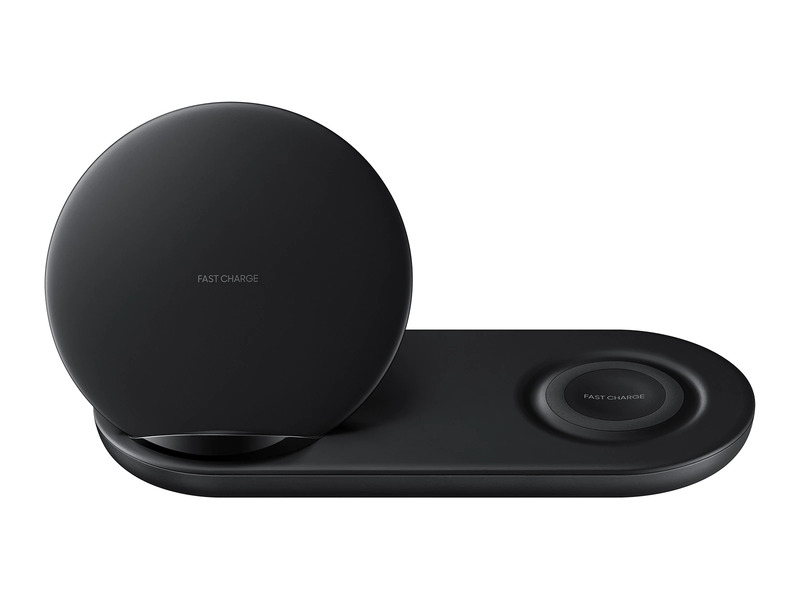 Not wanting to get $115 out of your pocket or savings account for the Wireless Charger Duo from Samsung is quite understandable as you can easily go for a replacement which might even look and work better at a less high price. 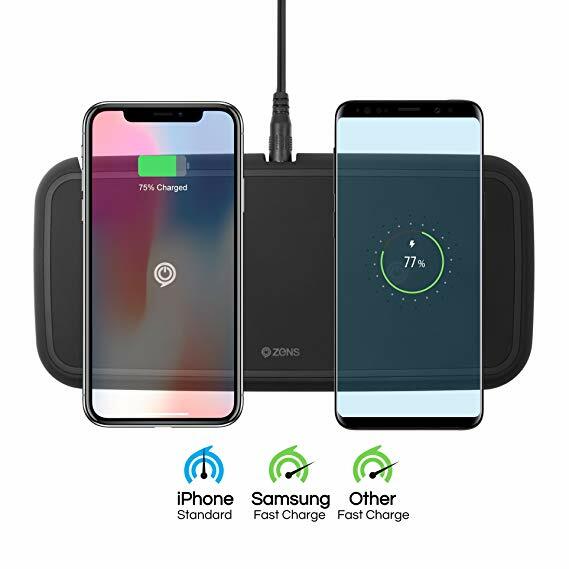 The ZENS Dual Qi Pad 2X, 15 Wat, for example, will give you just what the Wireless Charger Duo from Samsung would offer you, but you will even save $35 that you can use for something more important. 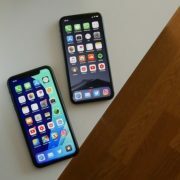 Besides that, there is even another even less expensive dual wireless charger you can get from our list or maybe if you are crafty enough you can get two inexpensive wireless chargers and stick them together. They will work just the same and get the job done. We hope that from all the alternatives we provided you with one will suit your needs and budget and you will make the smartest choice. However, there is always the possibility to purchase the Wireless Charger Duo from Samsung if it got your eye.